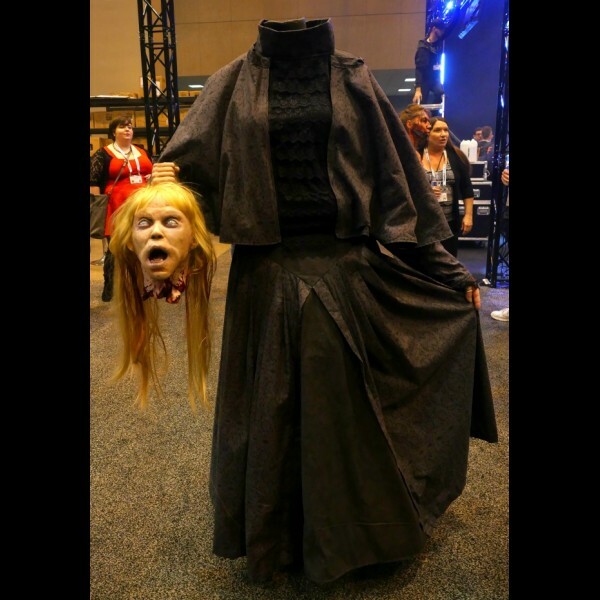 Headless Helga is a stunning hand made costume. Poor beheaded Helga carries her head around roaming here and there. The costume includes the Beheaded Head Prop that the actor is carrying around.